Судя по отсутствию волосков на "коленках", все же стирми. 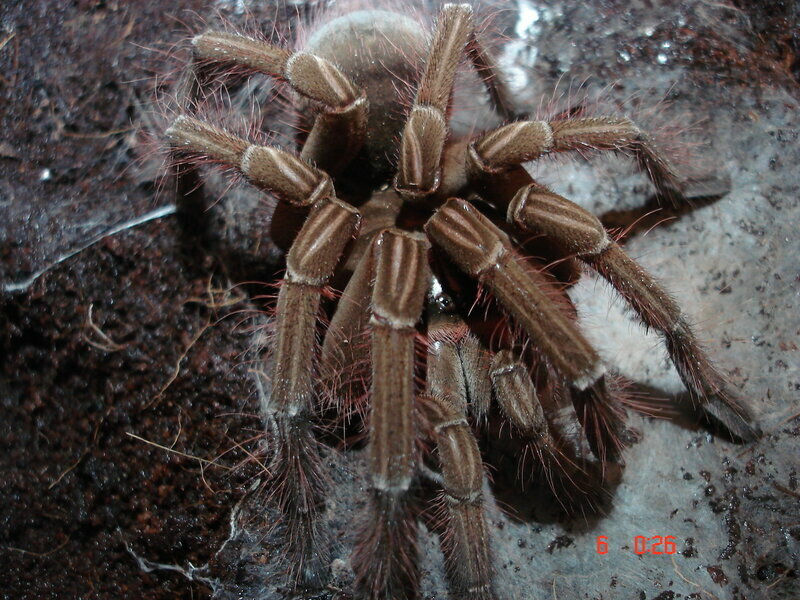 Theraphosa stirmi sp. nov. can be distinguished both from T. blondi and T. apophysis by the lack of long hairs on the patellae and tibiae, the presence of spination on the apical femur IV in females, the bulb nearly not tapering from the base to the tip in males. 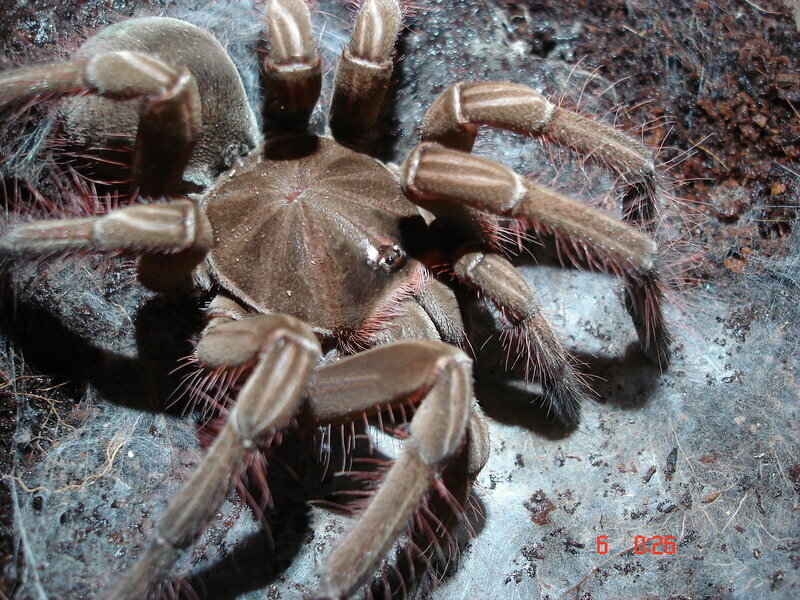 From Theraphosa blondi it can also be distinguished by the presence of a stridulating organ between leg I and leg II. 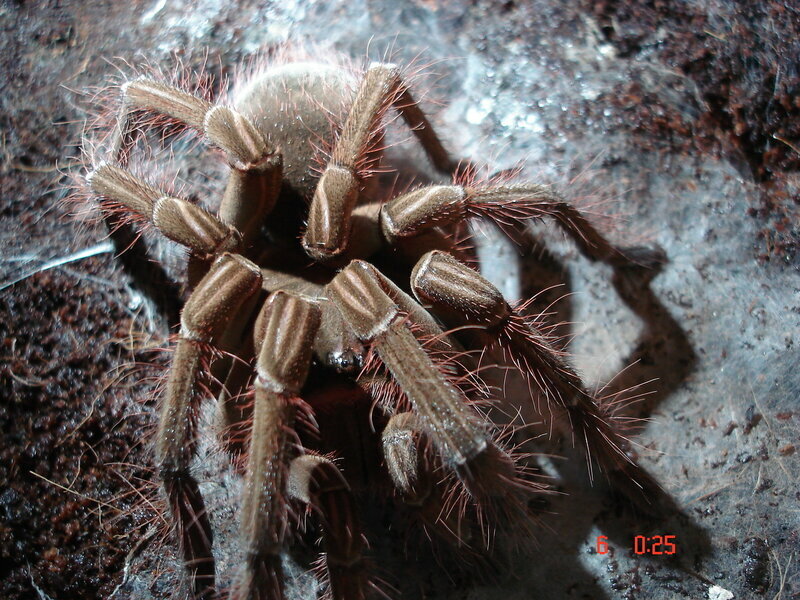 From Theraphosa apophysis it can be distinguished by the lack of tibial apophysis in males and the form of he spermathecae in females (see Fig.16). 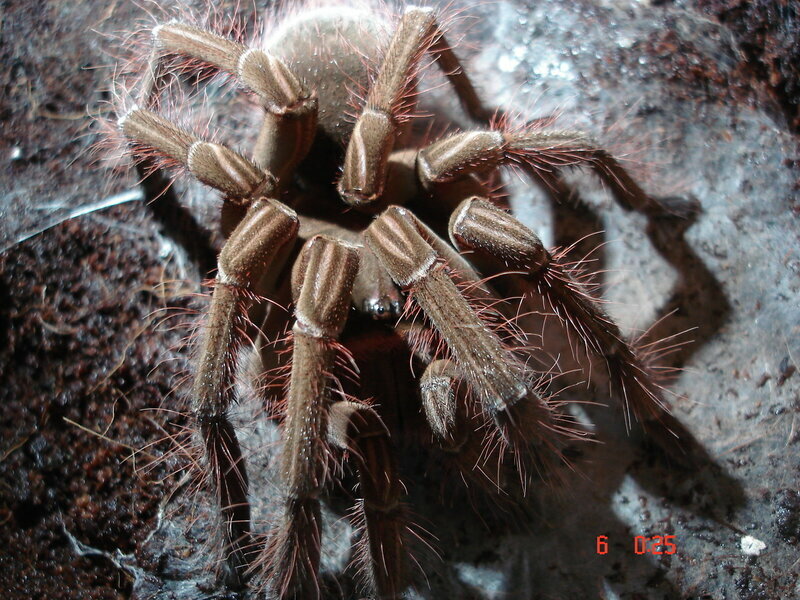 Apart from that also juveniles of the 3 Theraphosa species can be easily distiguinshed based on their colouration: juvenile T. blondi show no leg markings, T. apophysis have light leg markings on leg I to IV and T. stirmi sp. nov. only has light leg markings on leg I and II.